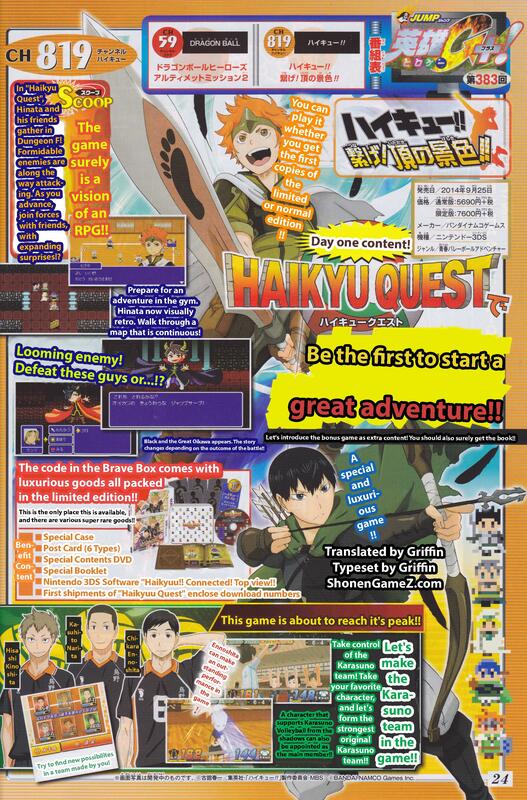 The upcoming game Haikyu!! Tie! The View From The Summit!! 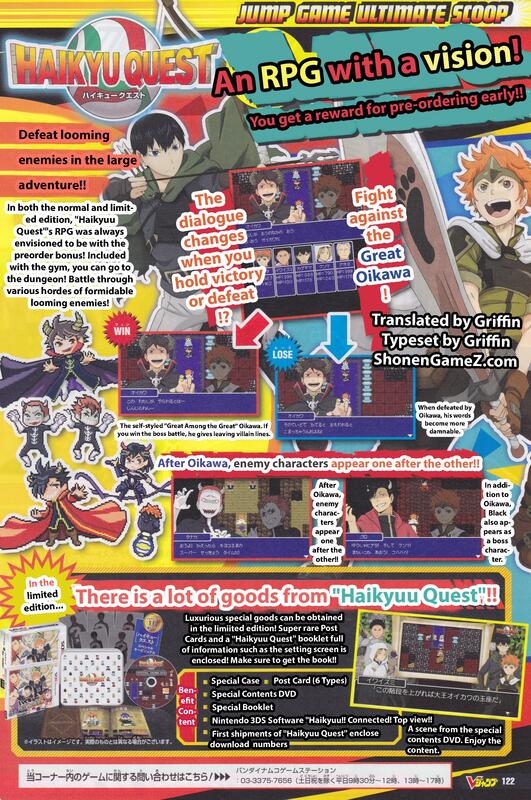 will have its own RPG mode. This mode has a nice old school feel to it despite the RPG mode being very random to have in a volleyball video game. In this new mode you will fight formidable enemies and as you advance you will find friends to join you along the way.